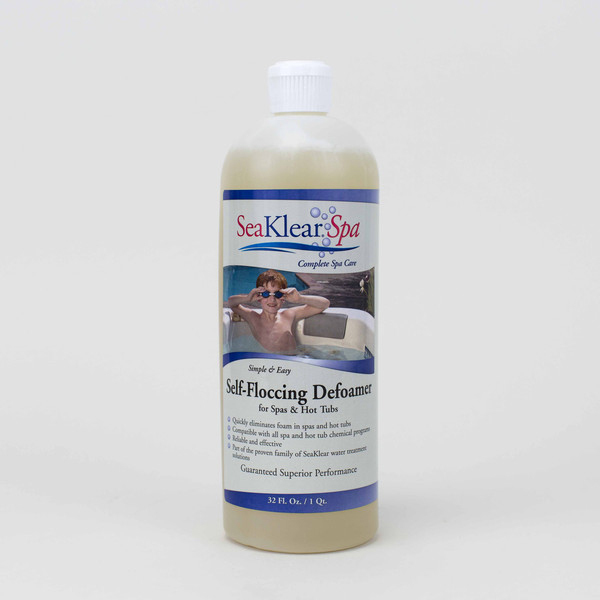 SeaKlear Spa Self-Floccing Defoamer quickly eliminates foam and sources that cause foam. Use 2 oz. of SeaKlear Spa Self-Floccing Defoamer for every 500 gal. of water.